The NBA didn’t disappoint as the trade deadline was active. We dedicated our whole show to the news that broke before 3pm on Thursday. Elton Brand stocks the Sixers. Tobias Harris, Jonathon Simmons and James Ennis are all new to Philly. 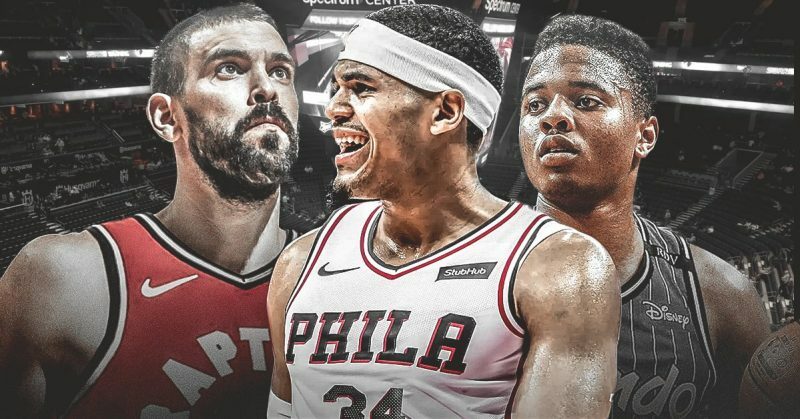 Is this the new team to beat in the east? Marc Gasol‘s era in Memphis is over as he joins the Raptors in a surprising trade. Harrison Barnes was extracted from his game when the Kings acquired him for Justin Jackson. Nikola Mirotic joins the Bucks to provide spacing with the three. Have the Bucks solidified their run to the East Finals? Markelle Fultz gets a fresh start in Orlando. Ivica Zubac and Michael Beasley leave switch LA locker rooms. Anthony Davis and Mike Conley stay put but under very different circumstances.